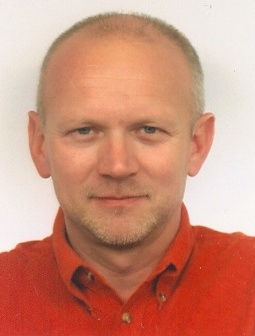 Retrofitting Existing Buildings to Passive House Standard with Less than 10 cm of Insulation? Insulation of the building envelope is by far the most important action for reducing the energy needs of the built environment. Meeting the 20-20-20 target of the EU will need very performing solutions, both for new built and for existing buildings. The higher the desired heat resistance, the thicker the insulation layer gets. 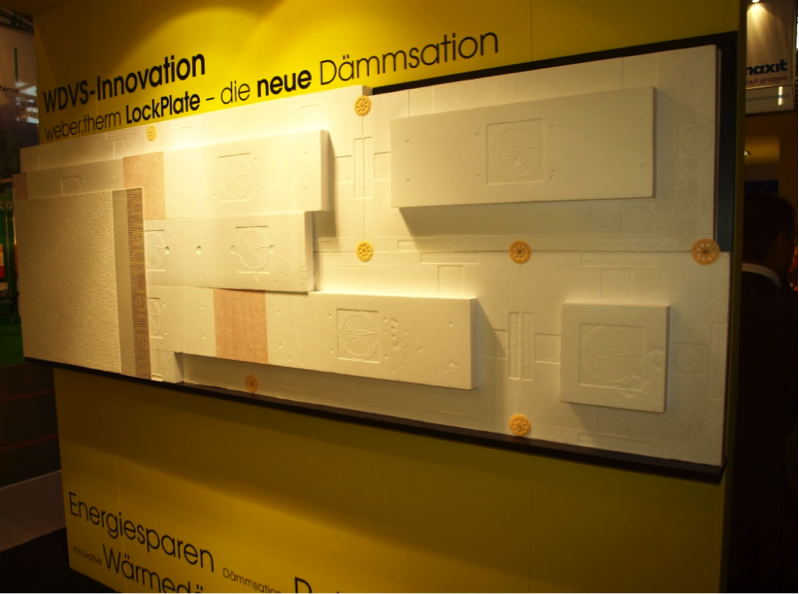 Traditional insulation materials need 30 cm and more to meet the passive house or zero energy standards. Especially for the post-insulation of walls and floors in existing buildings, this space is often not available. The new weber.therm LockPlate system only requires less than 10cm thickness to realise a U-value of 0.15 W/m²K, whereas most traditional insulation materials would require 30 cm or more. The system is especially interesting for low energy retrofitting of existing buildings, but can also be used for new constructions. VIP inside of ETICS, the smart way. The weber.therm LockPlate system is an innovative ETICS (external thermal insulation composite system) based on VIPs (vacuum insulation panels) embedded in EPS (expanded polystyrene) in its core. The EPS envelope serves as a mechanical protection for the VIPs. To reduce the thermal bridge effect on VIP edges in their joints (to seal the vacuum, each VIP is wrapped up in an aluminium foil bag), the basic VIPs are overlapped with another plate, also with embedded VIP. And more, because of the EPS frame around the VIP, the panels can be fixed to the wall with fasteners without having to perforate the VIP. The weber.therm LockPlate system components are produced in a limited number of standard sizes (0,5m x 1m and 0,5m x 0,5m for the base layer (“Plate”) and 0,25m x 1m for the second layer (“Lock”)). This enables fast production and prompt delivery. A software tool is available for a tailor-made layout of the panels on the façade. The resulting output is a layout list for every façade, as well as a printout of plates required for production. Thus, possible errors in counting plates for the façade are being minimized. technologies (see Newsletter 2). The results of the monitoring will be available in the year to come. »What does VIP stand for? 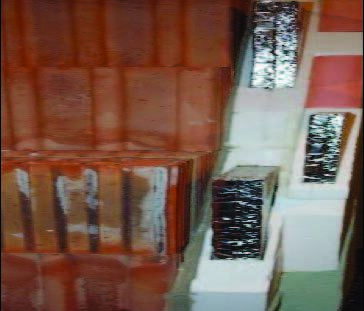 Vacuum Insulation Panels (VIP) have a rated thermal conductivity (lambda value) of around 0.007 W/mK [ref. 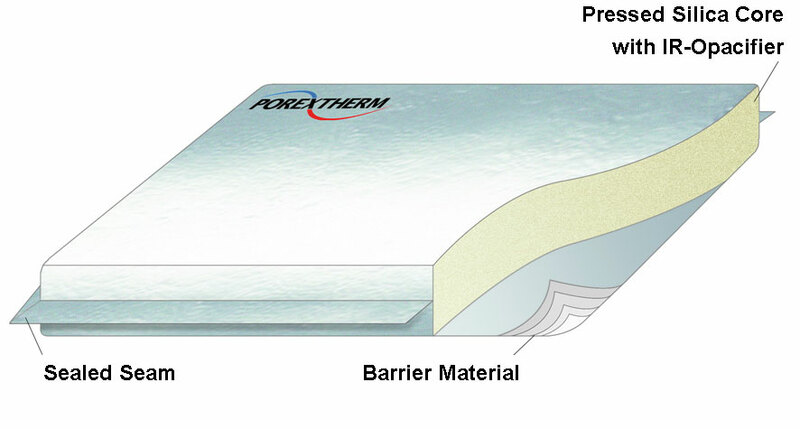 Porextherm], which makes them 5 to 6 times thinner than traditional insulation materials. The core usually exists of an open cell material (e.g. fumed silica). VIPs are covered with a multi-layer barrier film to prevent gas and moisture permeation. VIPs are typically evacuated at inside pressure below 5 mbar. Heat transfer by conduction, convection andradiation is dramatically reduced thanks to the very small pore sizes of the core material, the vacuum and added opacifiers. However, the very thin barrierfilm is very sensitive. As a consequence, the VIP is quite fragile. A puncture of the foil bag would cause a loss of vacuum and then the typical thermal conductivity keeps the level of 0,020 W/(mK).